I was up at 04:00 to get a taxi into the airport. The queues were massive, but for some reason I had a business ticket for the outward leg, so I could use the express lane and walk straight past the hordes of people and into the lounge. Happy days. The flight to Prague took about 50 minutes. I had arranged a pick-up from the hotel shuttle, so there was a man with a sign waiting to pick us up, which was nice. After a few minutes and I was in the hotel in Prague with an afternoon to spare. I know I should go and have a look round, but sleep feels so much more important at this point! 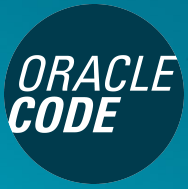 The Oracle Code : Prague event is tomorrow, so I hope to see you there!